Automotive News reported that the recent rise in leased vehicles being returned has affected new vehicle prices as well as the used car market. According to the report, these newly returned leased vehicles make for lower used-car prices and affects new vehicle prices, as those continue to rise. The article also stated how some of the country’s largest dealership groups have been feeling the pressure and how the latest trend has affected vehicle values and gross profits. Automotive industry experts don’t see this changing as production of new vehicles will continue, putting even more pressure on prices and profits. What does this means for car shoppers? Used-car vehicle prices will continue to lower as leased vehicles and other trade-ins continue to be brought back onto dealer lots. However, drivers returning their leases will be looking for a new way to get around. For individuals not looking to take on a long-term commitment, such as a six or seven year loan on a car, there are other options. The largest online lease transfer marketplace, Swapalease.com provides drivers with an option other than terminating your lease. Swapalease.com helps drivers exit their lease early. The lease transfer process happens when someone looking to take over the remainder of the car lease is matched with a driver looking to get out of their lease before it is up. Taking over the remainder of a lease is beneficial for both parties, saving time and money. Assuming a lease lets you find something that fits your need and budget. Used car sales have been steadily rising this past year as the economy and automotive industry continue to recover and stabilize. When the Great Recession hit, some used cars were selling for as much as some new vehicles. However, used car prices have significantly lowered and dealers are offering some great deals on these vehicles. An article in CBS News reported that used car prices have fallen for five straight months. Why has this been happening? As new car prices continue their steady climb and leased vehicles are being returned, used car prices have been falling. Dealers must find ways to market and sell these newly returned vehicles. Although used car prices have steadily fallen, drivers looking for a shorter-term solution assuming a lease might be the best option. Assuming someone else’s lease through places like Swapalease.com can save time and money. Swapalease.com is the largest online lease trade marketplace, helping individuals exit their lease early. By offering drivers the option to exit their lease early and have someone else take it over, Swapalease.com helps you get into the car you really want to be driving. Their website has all makes and models as well as some really great incentives. You upgrade your cell phone every time a new model comes out, why not do the same with your car? The online marketplace has vehicles and customers in every state in the continental United States and Canada. For more information on finding the best car lease deals or to learn how you can have a successful car lease trade, visit Swapalease.com or contact them at 866-SWAPNOW. What Does the Future Look Like for the Automotive Industry? A recent article in Forbes talked about how car guys are confused when it comes to their teens and driving. Whereas 46 percent of 16-year olds got their driver’s license in 1983, merely 27 percent of 16-year olds are getting their licenses now-a-days. Why this sudden, and some may say, drastic change? Driving doesn’t hold the excitement for teens in this day and age as it did almost two decades ago. As the cost of education increases, it’s taking Millennials longer to get their degree, find a job after graduating, and make major life decisions such as purchasing a car. Many experts have noticed a recent trend among Millennials; they simply aren’t driving choosing instead car-sharing services or taking advantage of public transportation. It doesn’t have to be this way. Swapalease.com offers a budget-friendly option for those starting out on their driving journey. 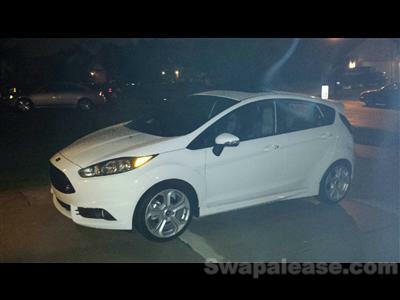 The largest online lease marketplace, Swapalease.com offers an alternative to those looking to save money while getting into a newer vehicle. Individuals looking to exit their lease early list their lease on the site and are matched up with someone wanting to take over the remainder of that lease. Taking over the remainder of a lease is a good option for Millennials because it won’t break the bank and they’re able to drive some of the latest models on the market. As leasing continues to grow in popularity and helps boost the automotive industry, it’s a great opportunity to help Millennials enter the adult world. The average American family car is nearly a decade old and many families will be hitting the car dealer lot to update their vehicle. However, as the economy continues to stabilize and recover, vehicle prices have steadily been rising. What this could mean, for many families and individuals, getting into a new car could be a bit more difficult to achieve. A recent trend has been purchasing pre-owned vehicles. Though not completely new, these vehicles will carry families through the next few years. An article in CNBC explained how used cars are becoming somewhat of a hard reality for families to obtain. The article proposed an equation that families and individuals can follow when deciding to make a purchase, the “20/4/10” principle, putting down 20 percent, taking out a loan no longer than 4 years and taking up no more than 10 percent of the monthly income. However, there are other income friendly options for car shoppers. 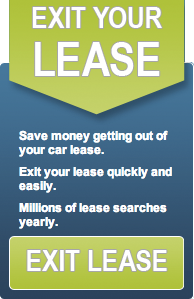 Swapalease.com is the largest online lease marketplace, offering individuals a chance to exit their lease early. Lease buyers can choose to take over a lease, saving money and getting into a newer vehicle. Leasing has recently helped the auto industry, and consumers have been taking advantage of this more affordable option. Loans are now being stretched out for longer terms in order to make vehicles more affordable and easier on consumers’ pockets. Why not skip chaining yourself to a five or six year loan when you can drive a different car every two to three years? Leasing offers more car at an affordable price. 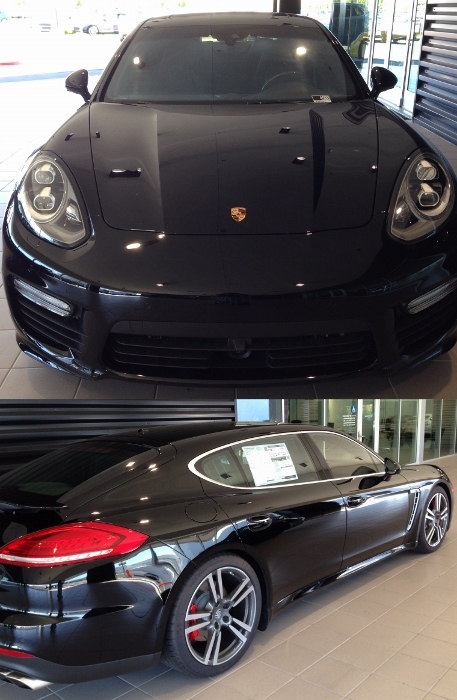 A picture is worth a thousand words, but in the world of online car sales, it’s worth more. Swapalease.com, the nation’s largest car lease marketplace, has identified the ten most common types of photos that prevent people from selling their car online. Here is a synopsis of the ten different types of photos that can damage a person’s ability to successfully find a suitor for their car. Poor Photo Filters: It might be cool to use photo filters during your trip to Europe, but it’s not helping to move your car. Everything from black and white filters to retro backgrounds can show your car inappropriately and leave potential buyers with the wrong impression. Stretched Photos: Your two-door sedan is not a stretch limo. Therefore, don’t give potential buyers the impression that it is. Check the specs of the online marketplace and upload your photos correctly. Size may matter but in this case longer is not better. Inappropriate Vehicle Location: Be mindful of your car’s surroundings when taking photos. Cluttered environments can leave an impression of a cluttered car, and the background can detract from where your suitor’s attention needs to be – on the vehicle. Improper Photo Orientation: Don’t try to produce the next James Bond film. Cars can’t drive straight into the air, nor can they drill down into the ground. Make sure the photo orientation shows the car in its natural position. Nighttime Photos: Every car looks better at night, right? Wrong. Poor natural lighting can hide many features you want to showcase for the exterior and interior of the car. Poor Photo Cropping: Get the entire car in the photo. Otherwise, many buyers might begin to wonder if you’re hiding scratches, blemishes or other damage to a certain part of the car. In the world of online dating, you’d probably want to see the entire picture of someone before making contact, right? Sun Glare Photos: This person has the opposite problem of the night photos. Too much glare from the sun distracting from other features of the car. Inappropriate Vertical Shots: It’s important to know the difference between landscape and portrait. By now, everyone with a camera phone realizes they need to turn their phone sideways to take a picture, especially in a setting where you’ll use the photo to market a vehicle. Photos with the sides cut off are a little on the creepy side. No Interior Shots: The outside of the car is what grabs your attention. But what’s on the inside is what makes a person fall in love when it comes to a car. If you can’t show the inside of your car, I can’t put a ring on it. Modeling Shots: I’m sure you’re just trying to humanize your car, but it’s kind of creeping me out. I don’t care what you look like, I want to see the car. Modeling The Features: You don’t need to be sitting in the car to demonstrate the fact that it’s a convertible. The car can sell that just fine on its own. Anything that takes away the focus on the car itself is a big no. As the leaves begin to change and we enter into autumn, we not only see new fashion trends but also new deals on some of the most popular small cars. Dealers are making some very attractive offers on these cars because they know people are driving around in cars that they’ve had for the past decade and many will be looking to get a new vehicle. Also, as leasing has been experiencing a nice boost and helping the automotive industry, now is the perfect time to drive off in the latest model. U.S. News recently released a list with a few of the best small car deals in October. The list includes models such as the 2014 Chevrolet Sonic, 2014 Hyundai Elantra, 2014 Toyota Corolla, and 2015 Honda Fit and offers some of the best incentives and deals. For example, you can lease a 2014 Chevrolet Sonic for $189 per month for 36 months, with $2,329 due at signing. Whether you currently drive any of these models or are looking to get out of your current lease and into one these more fuel-efficient vehicles, Swapalease.com offers you a way of doing just that. Swapalease.com is the largest online lease transfer marketplace. They help drivers get out of their current lease and into their desired vehicle. Swapalease.com helps coordinate a successful lease transfer between two individuals. Those looking to get out are matched with someone looking to take it over. What better way to get into a new vehicle, and out of your old one, than by taking over some else’s lease? What’s Next for the Automotive Industry? In the last few years we have seen multiple advances and changes happen not only in the technology and mobile phone realm but also in the automobile world. However, the automobile industry was a bit behind in trying to maintain momentum and keep up. Recently we have seen major innovations such as the beginnings of autonomous cars, heads up displays, and connected vehicles for a more enjoyable driving experience. CNN recently published an article relating the future of the automotive industry and the unveiling of several new models, including the newest luxury models, supercars and hybrid motors at the Paris Motor Show. Some of the cars on display at the show include a plug-in hybrid from Lamborghini, Asterion, and a hybrid sedan from Infinity, Q80. What these new models and technological advances mean for the automotive industry as a whole and drivers in particular is that the industry is beginning to meet the need and demand for more environmentally friendly models. As millennials continue their journey into adulthood, many are looking for more fuel-efficient, eco-friendly vehicles. Though these vehicles can be expensive, Swapalease.com offers a budget-friendly alternative. If you’re currently looking to replace your current vehicle with one that matches your interests, Swapalease.com can help you exit your lease early. Swapalease.com is the largest online lease transfer marketplace, matching individuals with similar interests through the lease transfer process. Those looking to get out of their lease are matched up with individuals looking to take it over. What better way to get into the car you want? Connectivity and Phone Carriers, the Next Big Thing for Cars? A recent report in Reuters has identified two of the biggest phone carriers as pioneers in the world of connected cars. Verizon Communications and AT&T have been diligently working with car manufacturers to develop the technology and network needed for our vehicles to become more connected and a bigger part of our everyday lives. While we spend an average of two and half hours in our cars each day, Verizon and AT&T want to make our driving experiences more enjoyable and connected. As a result, both companies are working with several car manufacturers such as Audi and GM to develop the technology needed to make this accessible to consumers. Will all of this exciting new technology make us want to upgrade our cars more often? Though we have seen major advances in the automotive world such as heads up displays, autonomous cars and even smartphone software being integrated into vehicles, AT&T and Verizon are looking to connect our vehicles into a more unified experience. We are beginning to treat our vehicles like we do our cell phones, updating them when a new model is released. There is no need to be stuck in your current vehicle when Swapalease.com offers you a way to transfer out of your current lease. The largest online lease transfer marketplace, Swapalease.com matches individuals looking to exit their lease early with individuals looking to take over the remainder of the lease. Acting as a matchmaker, Swapalease.com works with both parties to connect one another so a transfer can be made. When all of this new technology becomes available, you don’t want to be stuck in your current lease. 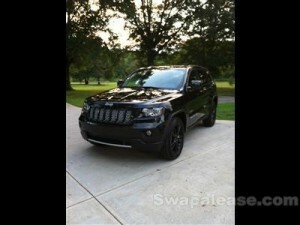 Check out Swapalease.com for a great new car!